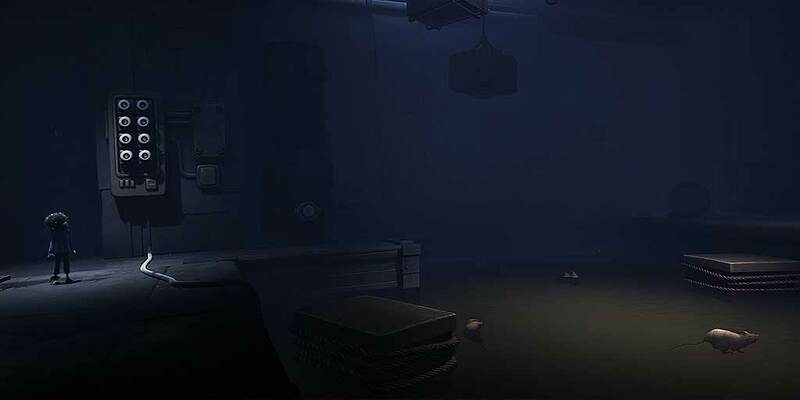 Little Nightmares DLC Announced: Secrets of the Maw | Nerd Much? Little Nightmares is a great game that most have already forgotten about. Luckily, Bandai Namco is here to remind you that it was a thing earlier this year. This morning, Bandai announced the Little Nightmares expansion pass, Secrets of the Maw, which will add three brand new chapters to the story, with each chapter releasing at separate times. The story in the upcoming DLC will be a parallel to what was in the initial release, and it will follow The Runaway Kid, another prisoner of the Maw who is looking for a way out of the dark depths. But it won’t be just more of the same, as Bandai assures fans that the Runaway Kid will visit ‘unseen areas’ of the Maw spanning across all three of the new chapters titled The Depths, The Hideway, and a third secret title which is currently unknown. The Secrets of the Maw DLC will have its first chapter, The Depths, release in July for the PS4, Xbox One, and PC via STEAM. The Hideway won’t release until November, and the third and final chapter will hit in January 2018. In our Little Nightmares review, we praised the game for its environments and generally creepy ideas, and we also named it one of the best games of 2017 so far.